August 2017 - Don Mills Builder, Inc. August 2017 - Don Mills Builder, Inc. Whether you’re in the mood for something familiar or want to try something new, you’ll always have plenty of dining options in Greensboro. Whether you are new to the area or if you’ve lived here for years, these are some of the best restaurants in the northern Greensboro area. Once you’ve visited and tasted the food, you’ll be ready to make this place your home, and meet with custom home builders in Greensboro, NC, to plan your relocation. Get the authentic southern dining experience in an upscale establishment. Serving some of your favorite down-home style meals that are staples here in the south, Lucky 32 Southern Kitchen offers a classy atmosphere with indoor and outdoor veranda seating. Food is made with fresh ingredients from the veggie cart full of produce from local farms. Currently serving lunch and dinner daily plus brunch on weekends. Mediterranean style cuisine authentically grilled on a wood-fired rotisserie with fresh local produce to complement each dish. Dine out in the courtyard that is reminiscent of old world Europe, or enjoy the indoor dining room and bar. Choose from craft beers, local wines, and cocktails to put the finishing touch on your dining experience. If you’re in the mood for a top quality USDA prime steak, Ruth’s Chris Steakhouse is your place. Choose your cut from ribeye, filet, T-bone, New York strip, and more. Enjoy a variety of succulent sides and an extensive beer and wine list with local and domestic options. Looking for a more casual dining experience? Harper’s Restaurant serves American cuisine like BBQ, burgers, salads, sandwiches, seafood, steak, and more. Have a beer or glass of wine while you watch the game on any of the HDTVs inside or enjoy the fine weather on the outdoor patio. Another casual location, Big Burger Spot offers 13 different burger choices or a make-your-own burger option. Hotdogs and chicken tenders are also on the menu along with plenty of typical American sides like fries made in a variety of styles and loaded with toppings. Complete your meal with one of the delicious premium milkshakes. People seek out many different types of food just as home buyers are all looking for different types of homes. Just like you want your food prepared to your particular preferences, having choices when it comes to your home is just as important. Custom building a home is like ordering a perfect burger cooked to your liking with all of your favorite fixings and sides. Your builder is like your chef, listening to your order and designing and building your home to your preferences. Every feature, every detail is just as you want it. 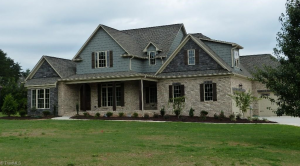 Work with custom home builders in Greensboro, NC, to build your dream home in the highly desired northern part of the city. Call (336) 362-1777 to schedule a consultation. Are you looking for a place to settle down, to raise your kids out in the country where the green grass grows? Do you also need a place with a short commute to Greensboro or High Point? Summerfield fits this description and then some. New home neighborhoods are growing quickly. Custom built homes are going up in spectacular fashion, the most beautiful of which can be credited to a premier home builder in Summerfield, NC—Don Mills. Known as the Piedmont Triad, the cities of Greensboro, High Point, and Winston Salem form a loose triangle on the map in the foothills region of North Carolina. A diverse economy, the Triad is rich in opportunity. Summerfield is convenient to all three cities, yet still offers a small town sense of community. Just hop on Highway 220 and head into Greensboro or Interstate 73 straight to the Piedmont Triad International airport. From there catch 68 into High Point or continue on Interstate 40 (or go north and grab 158 if you prefer the back roads) to get to Winston Salem. Whether its work or entertainment that brings you to the city, the drive is quick and easy. The landscape showcases the beauty of rolling hills and lush green forests. You’ll know you’ve left the city and entered the country by the smell of the air and the view of open land. Summerfield Community Park and Summerfield Athletic Park offer recreational opportunities of all kinds from ballgames to hiking trails. Picnic beside serene waters at Community Park and experience nature in all its glory. Catch the Anna Long Marshall Wayside which connects to the Atlantic and Yadkin Greenway, linking the Greenways throughout Greensboro into one long trail system. Summerfield is its own community, yet still connected to the city in so many ways. New homes are going up in some great neighborhoods in Summerfield. Birkhaven and others have ready-to-build lots just waiting to provide the foundation for someone’s dream home. Outside of the city limits, you can avoid the higher taxes that Greensboro residents pay and still enjoy great schools. Summerfield Elementary and Summerfield Charter Academy received high ratings on greatschools.org, meaning your kids can get a quality education close to home. For these reasons and many more, Summerfield is an ideal place to raise a family. Are you ready to slow the pace of life and take time to smell the roses? 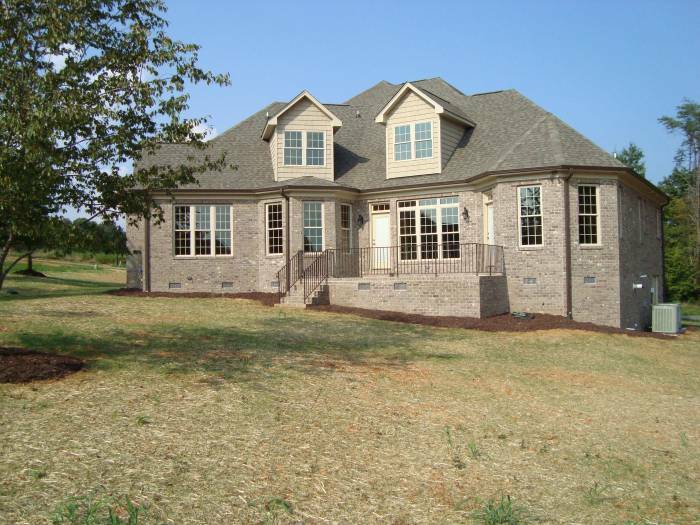 Consider having a custom home designed and built for you and your family out in the country. Don Mills designs luxurious homes that are built to your specifications. Every detail, every feature, every dream you’ve wanted for your future home can become your present home. Realize your dreams this year through a new home builder in Summerfield, NC, who knows the area and the business inside and out. Call today for a free consultation: (336)362-1777.